I love to photograph people. But in all honesty- I have to be in the right mood some days (which isn’t always convenient when you do this for a living.) The attitude and cooperation of your client can completely dictate the direction of your shoot, and being able to steer that and take control is part of why being a photographer is so difficult. It’s never really the taking the photos that’s hard for us- It’s the directing the human part and learning how to create work that you’re proud of that also pleases the client that is consistently the challenge. ENTER BABIES. Babies can’t talk back. Babies can’t do crazy poses. Babies don’t care if they have 1 chin or 8 chins. 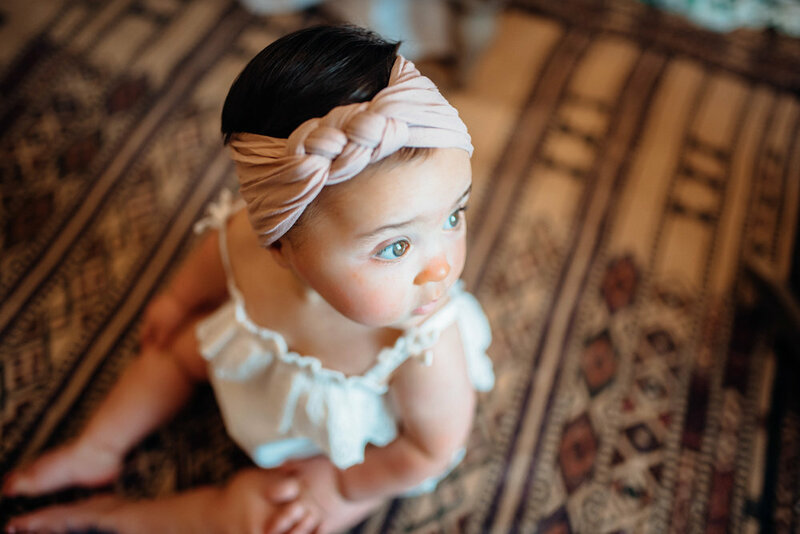 Babies are tiny- so they don’t need elaborate sets or exotic locations to look adorable. Babies look adorable all the time. 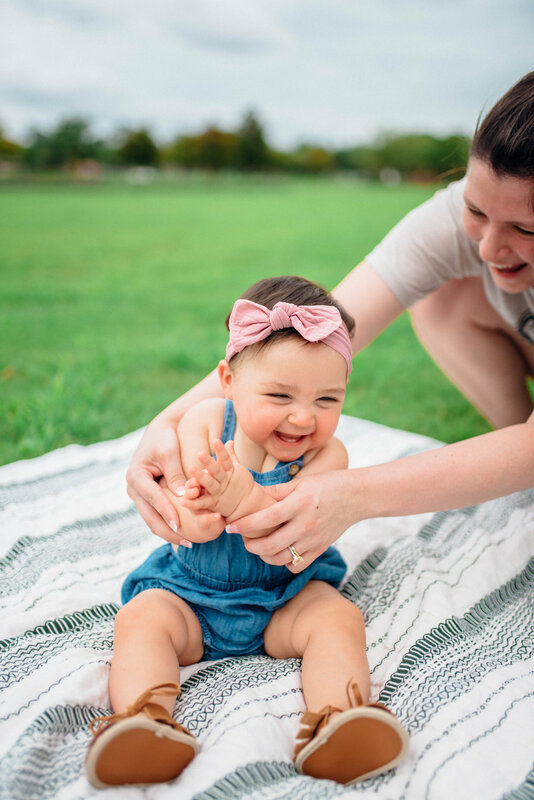 For someone who doesn’t particularly embody the natural qualities of maternal instinct, I really freaking love to photograph babies. 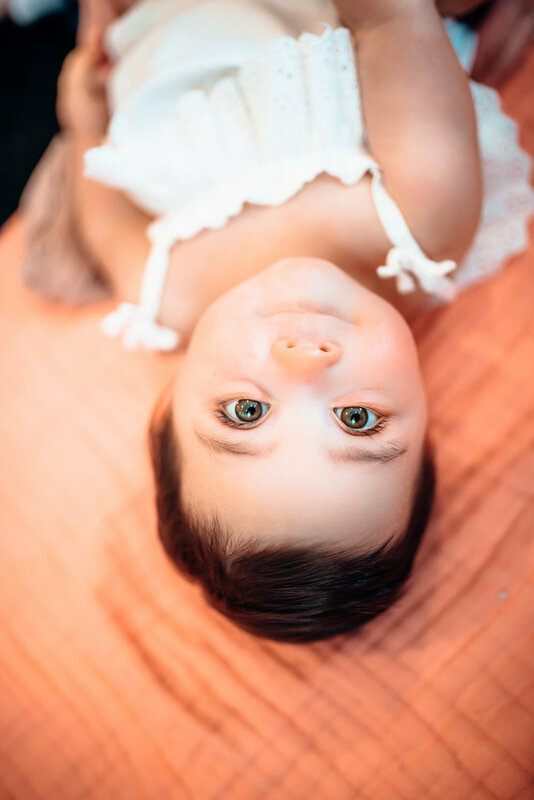 Getting down on my knees and up in a baby’s face as they stare wide-eyed into my lens is really intimate- and it’s great because they don’t care! 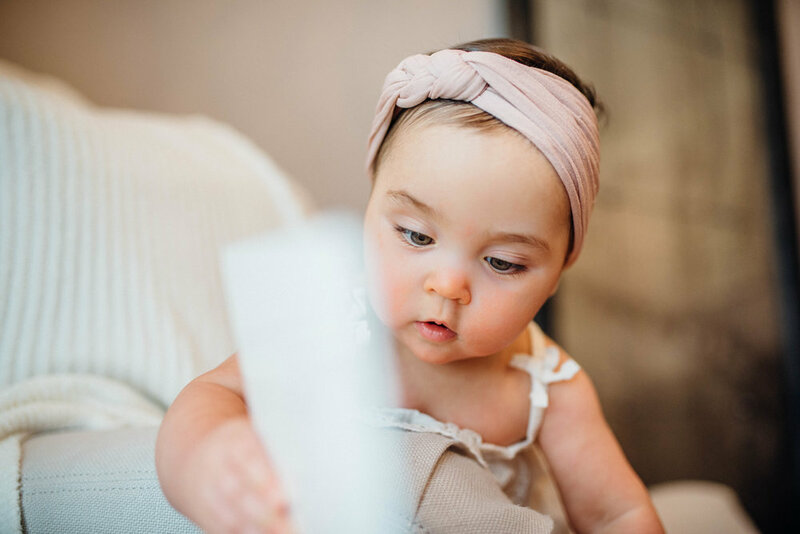 Sure, babies have their challenges… like throwing temper tantrums, scrunching up their faces, and being distracted by literally everything else around them, but at the end of the day they are by far my favorite clients! Some of y’all might be thinking that you have to plan this orchestrated, giant event to have portraits taken of your babies, but I’m here to assure you that this can be done in a low-key setting that will be a win-win for both you and your little one. 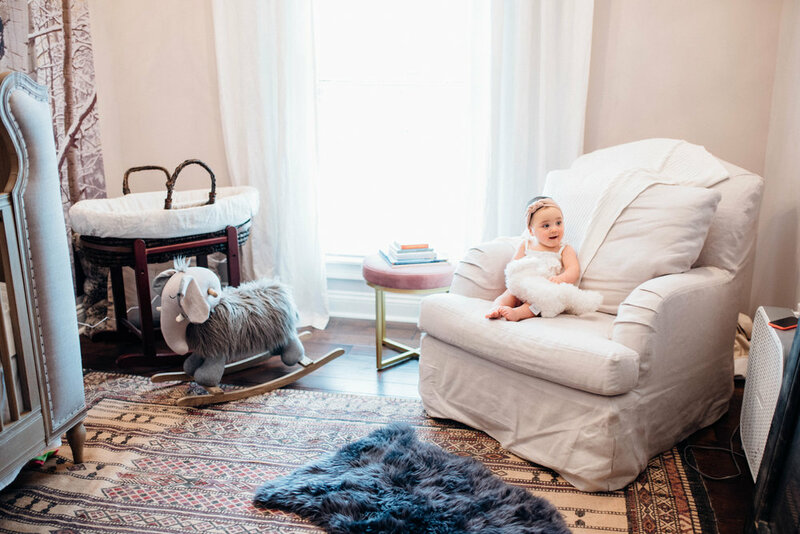 You don’t need fancy lighting, you don’t need 10,000 family members there, and you definitely don’t need to do anything that makes your baby feel uncomfortable. Give me a window, a blanket, and your kid’s favorite toy and we will be in business. Contact me to book your lifestyle family session here!